Cambridge, New York, Port Chester, Melbourne & Sydney: Cambridge University Press, 1992, Hardback in Dust Wrapper. Condition: Very Good — in Very Good Dust Wrapper. Gently faded at the spine of the dust wrapper. Pages very gently age-tanned. From the cover: “Soviet history has seldom been of such importance — both to historians and to a broader public in the Soviet Union — as it now is. 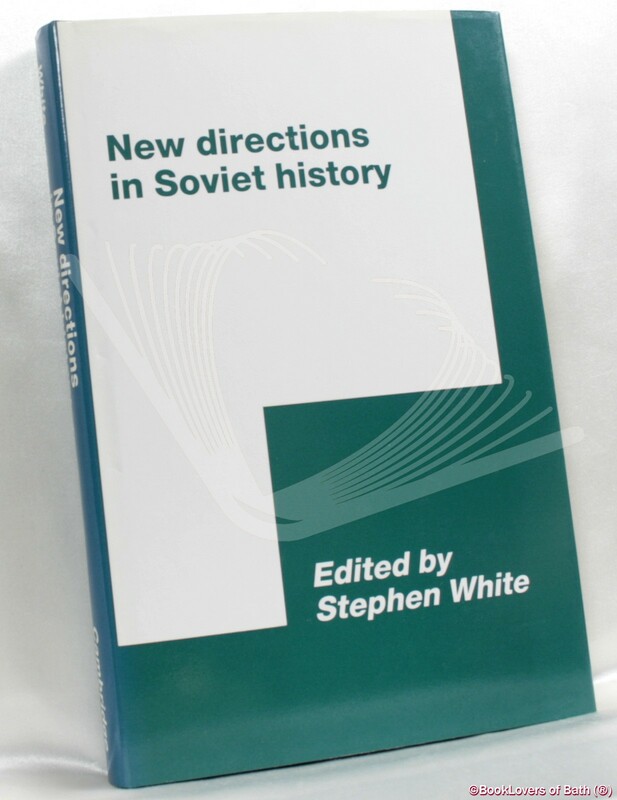 In this timely volume, scholars from both sides of the Atlantic, using a breadth of source material including Soviet archives and the local press, present the most recent thinking and up-to-date research available. 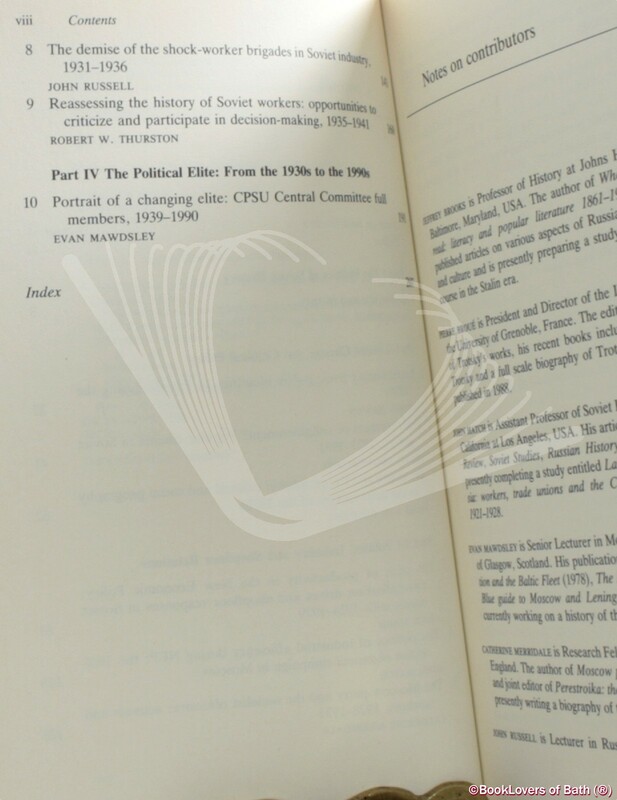 The focus of this collection is on cultural history and industrial relations during the interwar period. 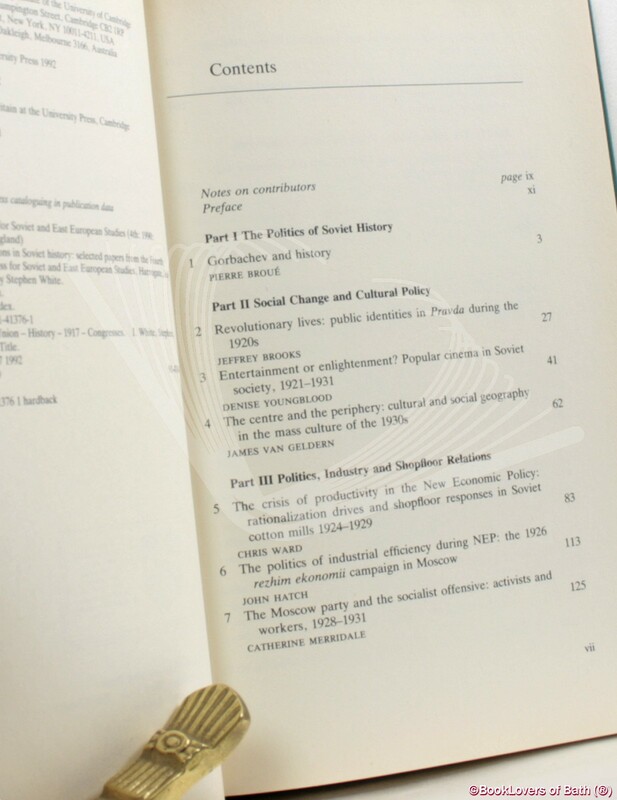 These two topics are at the forefront of current historical debate and this volume will therefore be essential reading for all professional students of Soviet history. Size: 9½" x 6¼". Blue boards with Gilt titling to the Spine. [XVI] 209 pages.